joined carbon dioxide as a major contributor to planetary warming. It appears the much-dreaded “clathrate gun” has been fired in the Arctic Ocean. Shall we respond to anthropogenic climate change? Prof. Dr. 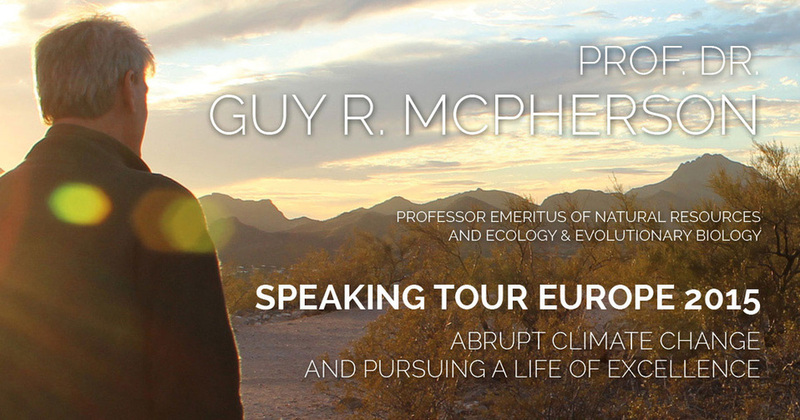 Guy R. McPherson is touring Europe throughout April 2015. For the upcoming dates and further information, please check "EVENTS" from the main menu.